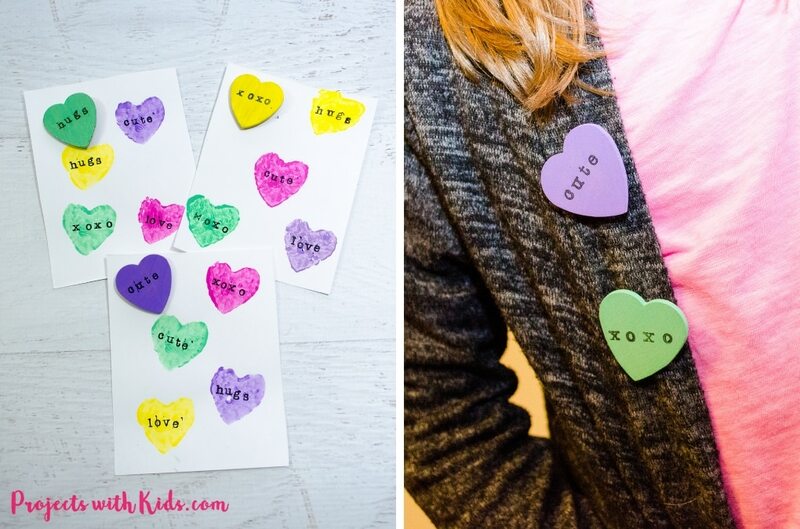 We had so much fun making these conversation hearts cards and pins for a Valentine’s Day craft and art project. 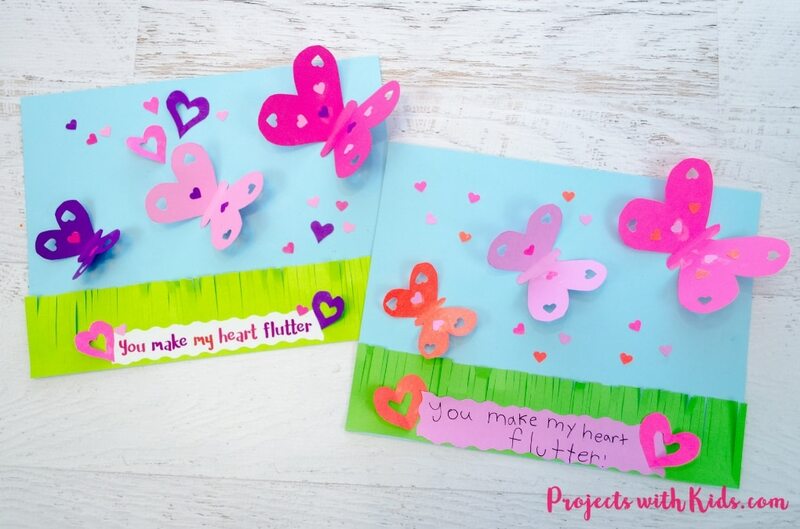 I love how these cards have a cute little heart pin that kids can give to their friends as a little Valentine’s Day gift. I used to love getting those little conversation heart candies on Valentine’s Day when I was younger, it was so fun to read the different messages. Your kids will love coming up with their own little messages and words to stamp onto their cards and give to their friends! 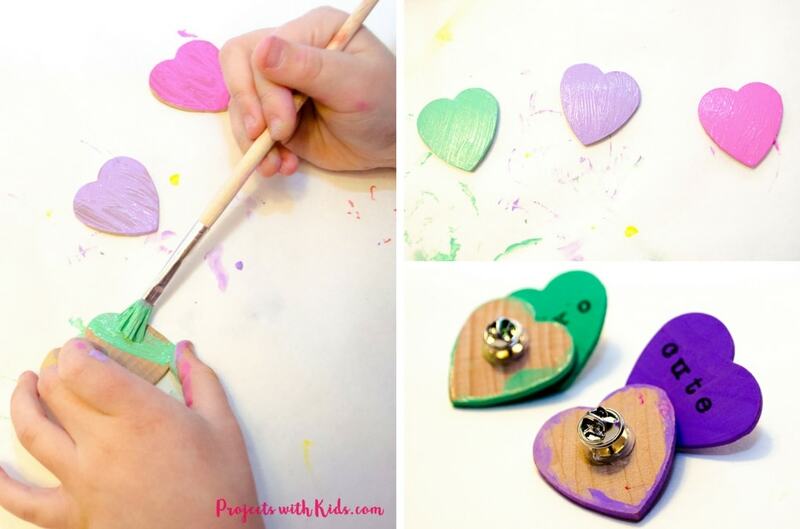 We used a potato stamp to make an easy heart stamp, I simply used the wooden hearts that we used for the pins as a guide to draw the heart on the potato. 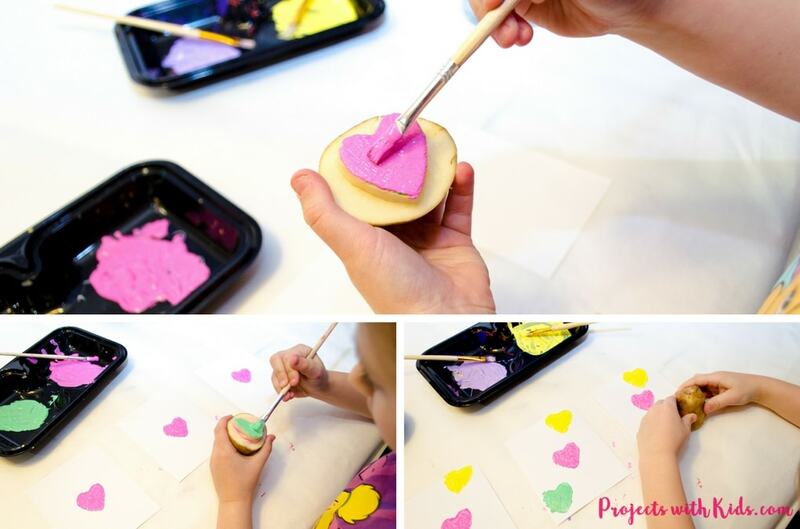 Potato stamping is so fun for kids and so easy to do! We will definitely be doing more potato stamping in the future. This post contains affiliate links, which come at no cost to you. If you would like more information please review my disclosure policy. Acrylic paint, I mixed our paint with white acrylic paint to get the pastel colors that we used. 1. First, you want to cut your white cardstock into smaller cards. We had 8.5 x 11 paper that I cut into 4’s. 2. Mix your paint colors. 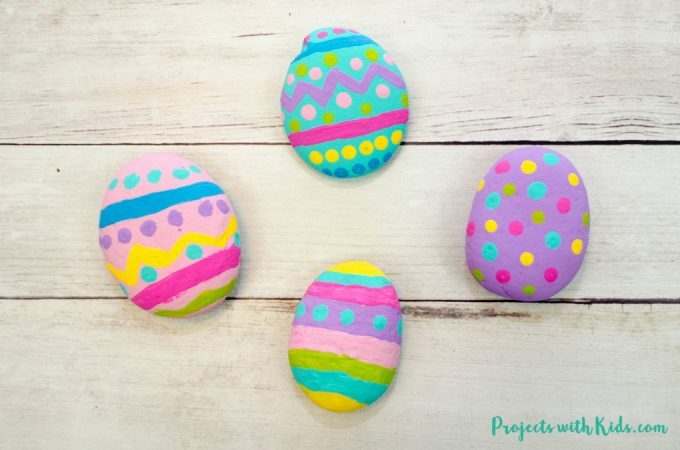 We used 4 colors and to make our paint into pastel colors I just simply mixed them with white. 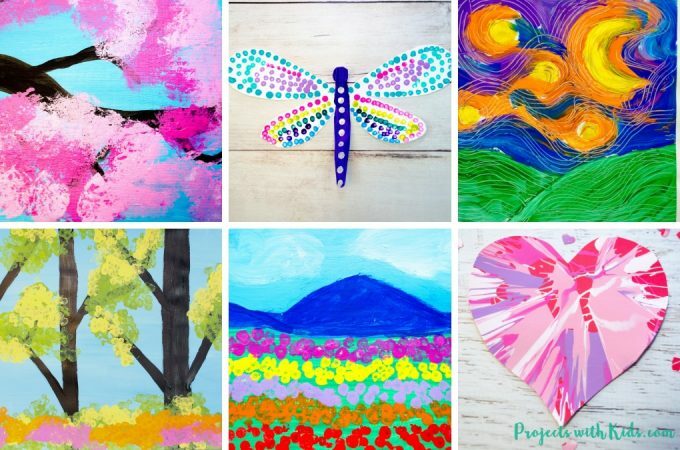 You don’t need to go buy any new colors, just use what you have and mix your colors with white paint. 3. Next, make your potato stamp. Cut your potato in half and draw a heart shape onto the potato, use a sharp knife to cut around the heart shape. This should be done by an adult only! 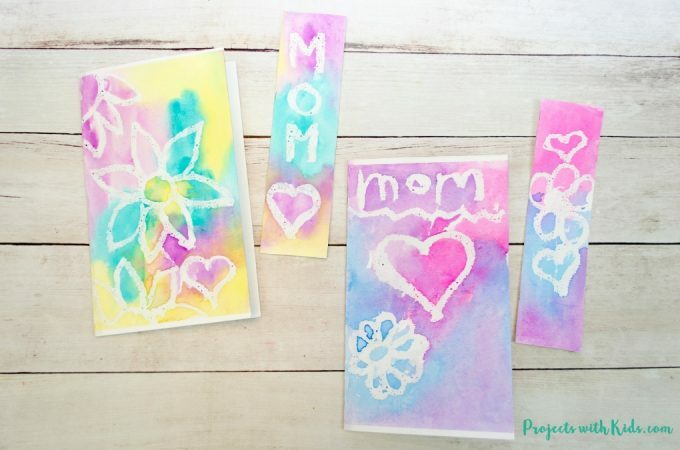 Potato stamping is so fun, your kids will want to do more! 4. To make the potato stamping easier and to save you having to wipe off your potato stamp all the time, make multiple cards at once. I put 4 cards in front of each of my kids and we stamped one color at a time. 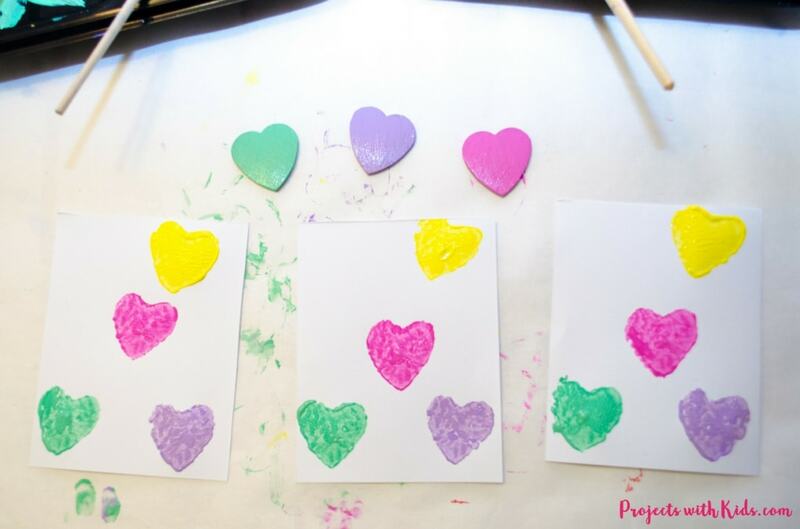 Using a paintbrush, paint your potato stamp with a color and stamp onto a card. Each time you stamp, you will need to paint your color on your stamp again. When you are finished with a color, using a paper towel wipe off the paint. You might have to wet the paper towel a bit first. Move on to the next color and continue stamping. Potato stamping can take a bit to get used to, so kids can always practice on scrap paper first. When you have stamped all your colors, let your cards completely dry. 5. 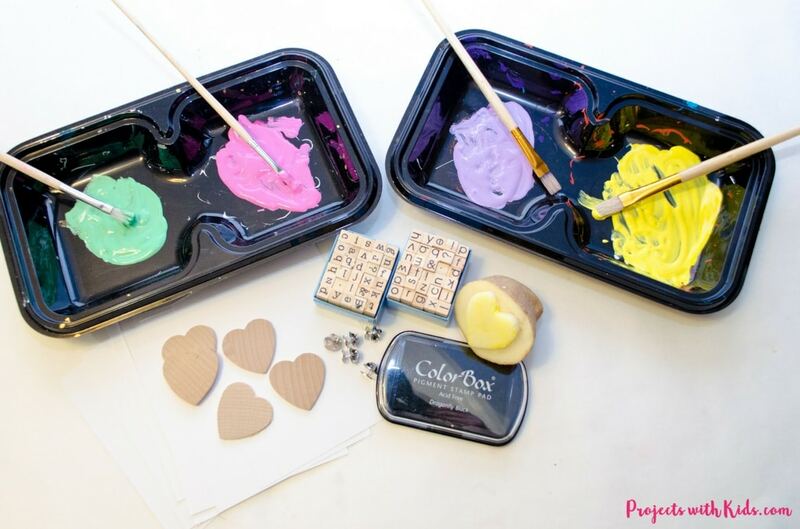 Paint your wooden hearts with your pastel colors and let them completely dry. We painted the tops and sides but didn’t bother with the backs. 6. Once everything is dry, you can start stamping your words. 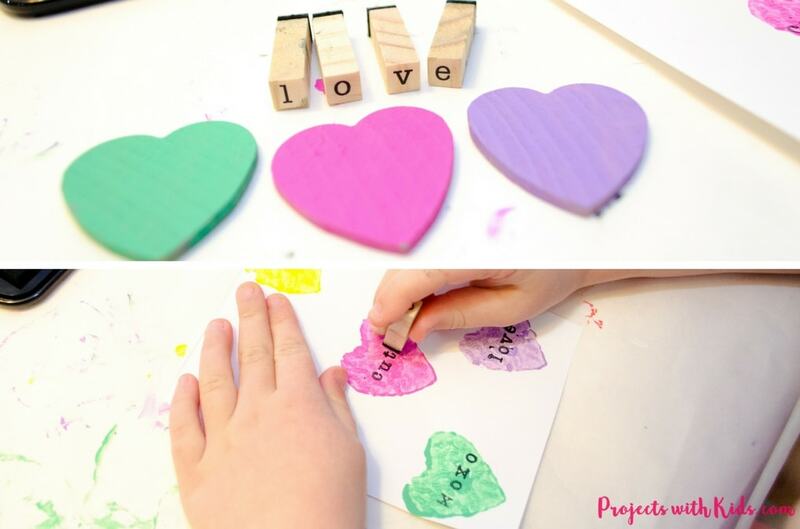 Using a non-washable black ink pad, let kids stamp words onto their hearts on the cards and pins. Let the ink dry. This can take a while, we let ours dry overnight. 7. 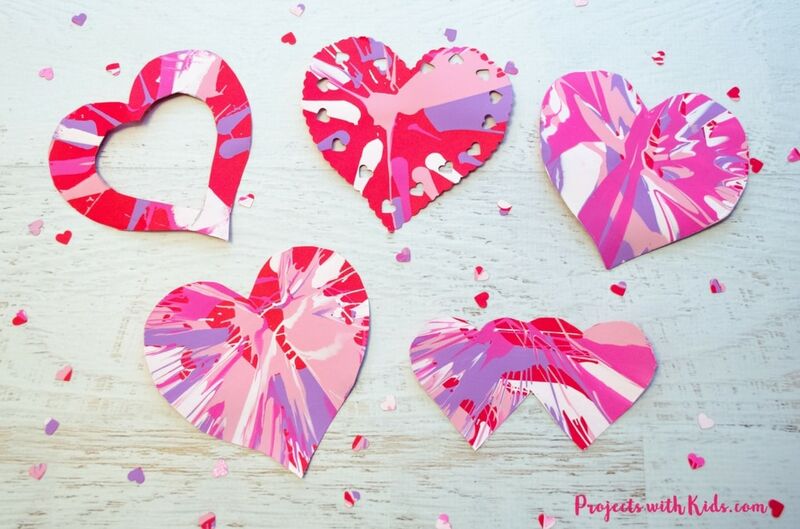 Using a glue gun, glue the pin backing onto the hearts. This step should be done by an adult only. 8. If you want, you can seal your pins with some Mod Podge. We did a few pins with and a few without. Not sure which ones I like better, the ones with Mod Podge will probably hold up better over time, but there were a few places that the ink ran a bit onto the heart. So try experimenting on one and see how it looks. 9. 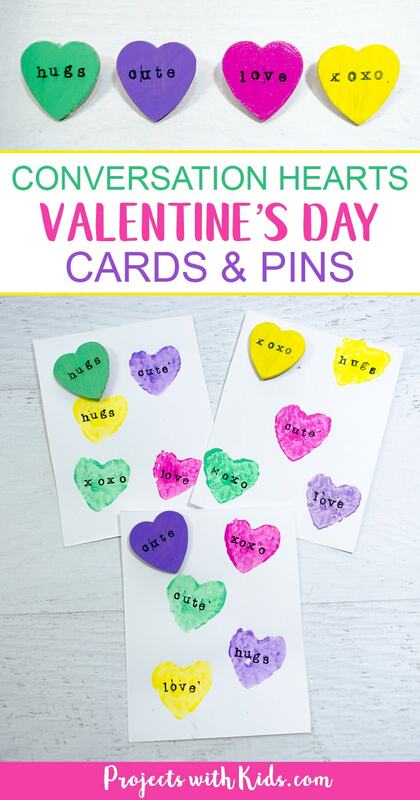 Place the pins onto the cards and your conversation hearts cards and pins are done and ready for your kids to give to their friends! 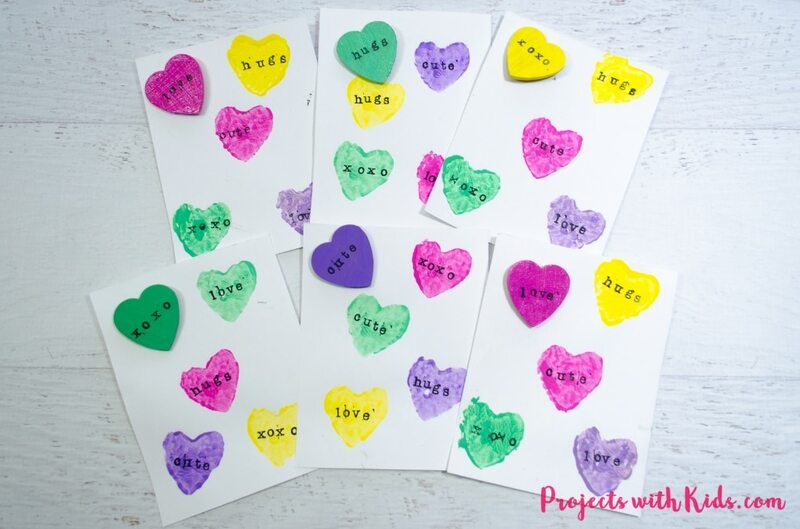 These Valentine’s Day cards and pins turned out so cute, I love how our potato stamps turned out and making them into conversation hearts with words was so fun! My son made one for his teacher and is so excited to give it to her for Valentine’s Day. 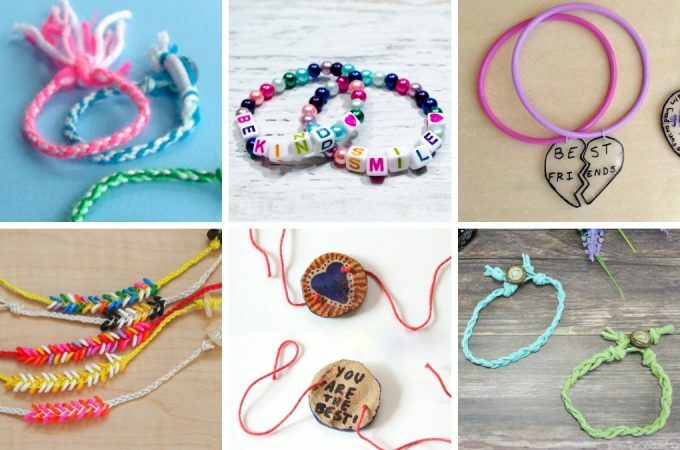 Follow me on Pinterest for more great ideas!